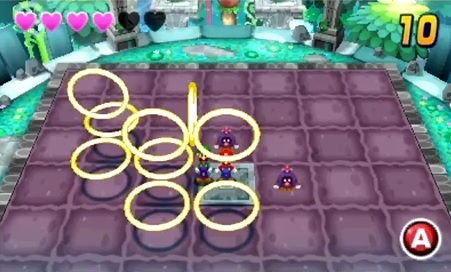 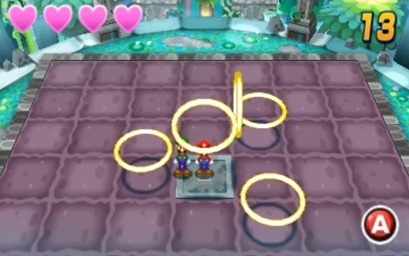 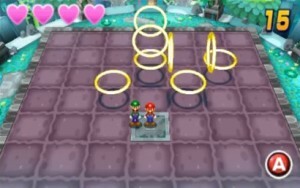 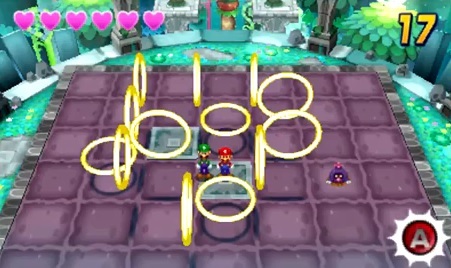 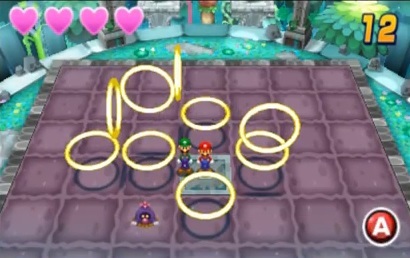 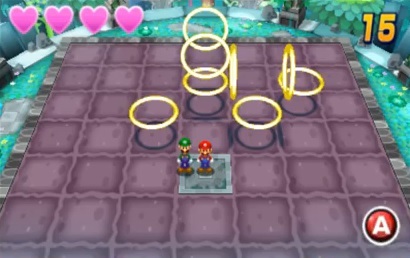 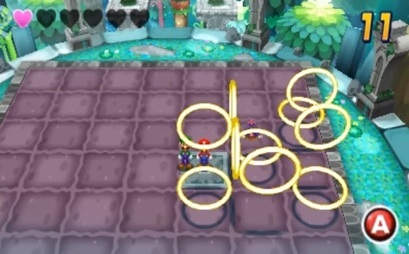 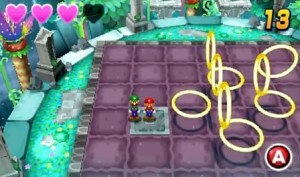 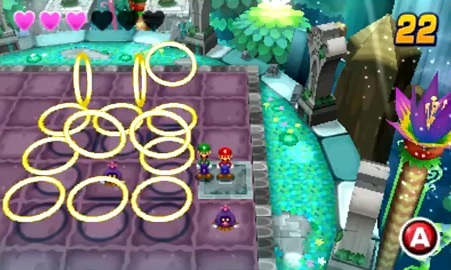 In Mario & Luigi Dream Team, there are some pretty annoying puzzles found in Somnom Woods that you have to complete to both progress in the area (by rescuing a Pi’illo Elder) and for 100% completion (to get two of the last Pi’illos needed for unlocking the Zee Egg move). 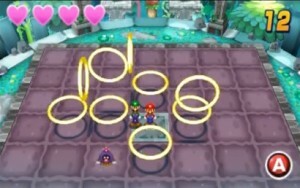 Unfortunately, these puzzles are kind of infuriating, and nowhere online seems to have a solution for them. So here you go, here are all the answers to the annoying ring puzzles those damn moles in Somnom Woods put you through. 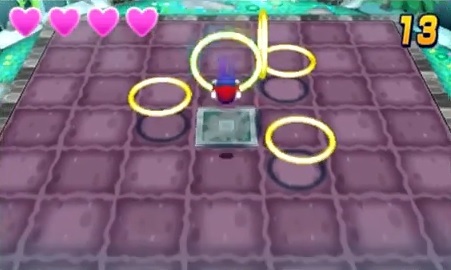 Hopefully that helps people get through these annoying as hell puzzles without too much trouble. 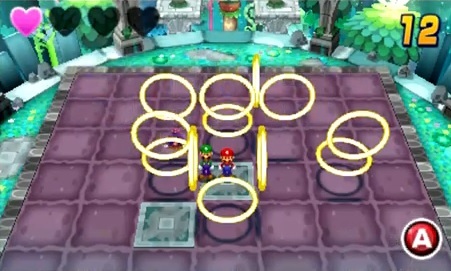 And thanks to both tealgamemaster and SilverSleet on Youtube, their LPs let both see what random puzzles come up in the first mandatory batch (which you can never replay again) and get some nice screenshots showing the puzzle layouts. 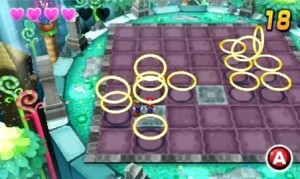 If there are any I’ve missed, I’ll post them later.